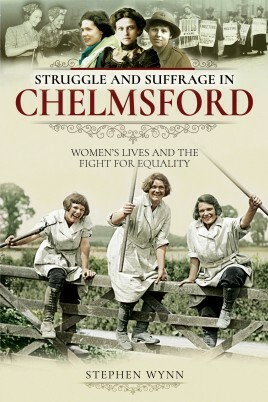 Struggle and Suffrage in Chelmsford is a comprehensive account of what life was like for women in Chelmsford from 1850-1950. It takes the reader on an in-depth and interesting journey, starting from when a woman, as far as both the law of the land and certain elements of society had decided, was worthless with little or no rights. Struggle and Suffrage in Chelmsford is a comprehensive account of what life was like for women in Chelmsford from 1850-1950. It takes the reader on an in-depth and interesting journey, starting from when a woman, as far as both the law of the land and certain elements of society had decided, was worthless with little or no rights. For many it was no more than an existence, one which society had determined was their lot in life. With the birth of women’s suffrage movements gaining recognition on a national level during the latter years of the nineteenth century, the story looks at how this affected the lives of women throughout Chelmsford. 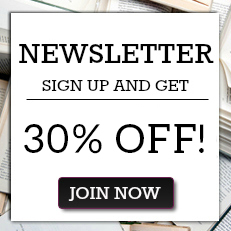 The story continues in to the twentieth century, where it looks at the years of the First World War, which was without question a major turning point in women’s suffrage. The book looks at what women achieved throughout the years of the war, in the jobs that they undertook and the voluntary work they carried out. It was a time that provided women with a freedom and a power, the likes of which they had never known before. Attitudes towards divorce and how they changed over time are also discussed - from being a religious stigma around the time of the First World War, to being a life choice in the much more promiscuous times of the Second World War, by which time latex male contraceptives had been available for about 20 years. An informative and fascinating read, Struggle and Suffrage in Chelmsford provides a compelling and moving account of the lives of the town’s women throughout these turbulent years. Stephen is a happily retired Police officer having served with Essex Police as a Constable for thirty years between 1983 and 2013. He is married to Tanya who is also his best friend. Both of his grandfathers served in and survived the First World War, one with the Royal Irish Rifles, the other in the Mercantile Navy, whilst his father was a member of the Royal Army Ordinance Corp during the Second World War.Both his sons, Luke and Ross, were members of the armed forces, collectively serving five tours of Afghanistan between 2008 and 2013. Both were injured on their first tour. This led to Stephen’s first book; ‘Two Sons in a Warzone – Afghanistan: The True Story of a Fathers Conflict’, which was published in October 2010. His teenage daughter, Aimee, currently attends one of the district's secondary schools.When he is not writing, Tanya and he enjoy the simplicity of walking their four German Shepherd dogs early each morning when most sensible people are still fast asleep in their beds.